A former Barclays PLC swaps trader has won about $9 million in back pay that he didn’t receive after quitting the firm during a regulatory investigation. Mayank Chamadia joined Barclays in 2004 and was placed on administrative leave from his derivatives-trading job in June 2013 because his group was part of an industry-wide investigation into alleged manipulations of interest rate swaps. Chamadia wasn’t accused of any wrongdoing and fully cooperated with the investigation. Chamadia resigned in October 2013. 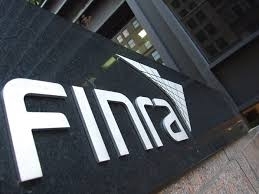 Last week, a FINRA arbitration panel awarded Chamadia $3.7 million in deferred compensation for 2010 to 2012 which had vested by March 2014, plus interest. The award also includes deferred compensation that has vested since 2014, which the arbitration panel didn’t quantify. The total award is approximately about $9 million.